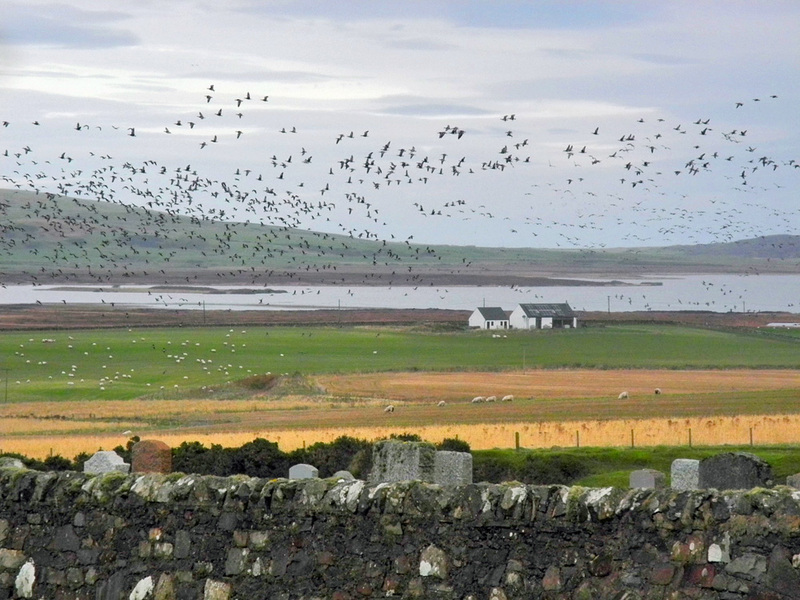 A view from Kilchoman in October 2011, a large number of Barnacle Geese flying past above Loch Gorm. This entry was posted in Cloudy Weather, Freshwater Loch, Landscape, Repost, Wildlife and tagged Barnacle Geese, Islay, Kilchoman, Loch Gorm by Armin Grewe. Bookmark the permalink.